Smath Studio includes several methods for solving equations. 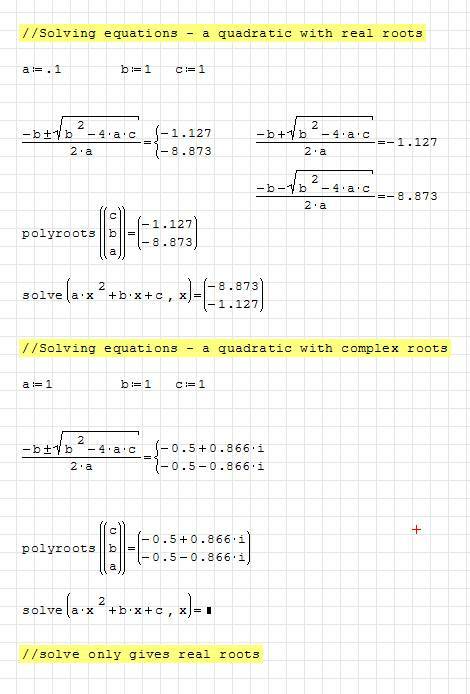 If you have a function of one variable then use solve, roots or polyroots. solve() is more flexible and can find more than one root, roots() is giving only one root, but if you have a pure polynomial use polyroots(). Note: If you have some simultaneous equations with several variables then use matrices for linear equations or roots for the system of nonlinear equations.